Today I am going to review the Dewalt DWD210G corded drill. The Dewalt Company, the manufacturer of the DWD210G model, is actually a subsidiary of a much larger firm that produces tools and security systems among else. The name of that firm is ‘Stanley Black and Decker.’ Perhaps you have heard of it when it found its place in the Fortune 500 annual magazine. Anyhow, this company does not only excel in producing drills, all of its products are top notch merchandise. In case that you are interested in high-grade security cameras and alarm systems, I highly recommend their products. If you decide to get this drill, you will witness first hand just how much effort they invest in their products. OK, now that we made this clear, let’s focus on the drill itself. If you decide to buy the Dewalt DWD210G corded drill, you will receive a large yellow box with the Dewalt logo on it. Once you open the box, you will find the DWD210G drill covered in the protective nylon wrap inside. You will also find a manual there. Some sellers sell this type of drill in hard cases, but that really depends on who you get the drill from. The power of this drill is incredible. The Dewalt DWD210G can drill in any type of material, regardless if it is highly dense or not. You won’t have to push the drill to drill through highly dense materials, like in the case of some other, low-grade drills. This product is really tailored for professionals who know how to get the most from this drill. This drill also has a feature that enables you to control the drilling speed by pressing and holding the trigger more or less firmly. This is really useful because you don’t have to stop drilling and get the drill out just so that you can switch the speed on the switch that is positioned in a bad place, like on some other drills. 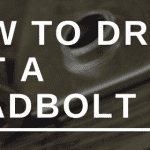 I believe that this is one of the most powerful drills on the market. If you get this and you are not satisfied with the power of this drill, you can go looking for a more powerful one, but I highly doubt that you will find it. This drill, surprisingly, doesn’t weigh as much as I thought it does. You know how it is, you see a high-grade professional drill, and you immediately think that it must weigh a ton because of all the high-quality features it has. Well, it doesn’t. But the excellent news is that its features really are ‘high quality’ features, and they are suited to a high-grade drill like this one is. The thing that makes drill have a relatively low weight is the material from which it was built. The weight of this drill is even more incredible if we factor in that it has a large handle on the front. The handle itself isn’t heavy, and the balance of weight on the entire drill is very nice. The body of this drill is made out of plastic, and so is the trigger. The front of this drill is made from metal that, I believe, serves a dual purpose. It is there so that debris doesn’t damage the drill, and the second reason for the front being made from metal is to support the handle so that it doesn’t start rocking or falls out. The handle itself is very large and made from the same type of metal as the metal cover on the front of this drill. Handle, and the grip has textured surface so that you can have a firm grip while holding the drill so that it doesn’t fall out of your hands. As a matter of fact, the whole drill is very easy to hold, and it is not slippery at all, even when your hands are sweaty. This drill is easy for use regardless of the level of experience you had while working with drills, however, if you are not experienced and don’t know what exactly you should be doing with the drill and how to position it, then the results of your work won’t be up to your expectations until you gather more experience. My point is that the drill itself is easy to operate and that it is easy to use. DWD210G has a nice safety button located on the grip. It is positioned very nicely, you won’t even know that it is there and it is one of those buttons that you need to hold while working with the drill. Ratchet and the whole process of inserting different swivels is fairly easy, and the swivels stay in place once you insert them and screw them in. If you are working with the extremely dense material, it is possible that the swivel might loosen up after more than three hours of work, but that is perfectly fine if you ask me. This drill doesn’t have speed settings switch, you can change the speed by varying the amount of pressure you exert on the trigger and control the speed that way. This makes working a lot easier. Download Dewalt DWD210G Corded Drill User Manual – Here! Related posts about Dewalt DWD210G Corded Drill in Forums – Here! This drill is one of the best products in the drill market. It weighs very little, produces incredible amounts of power, and it is very easy to operate. If you value your work highly and if you want to use the best tool there is then this drill is for you. In the case that you do get it, you can be sure that this drill work with you for a very long time because it was built from high-quality materials, it is highly resistant to damage, and in the case that all else fails, it comes with a warranty that lasts for a very long time. It is very large in size, so that can be an issue for smaller users. 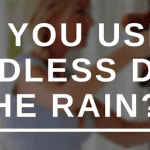 Can you use a cordless drill in the rain? How to drill out a deadbolt?